Are you a little hungry or thirsty? Head for the Snack Shack, which serves a variety of different snacks, drinks and very popular ice cream treats. 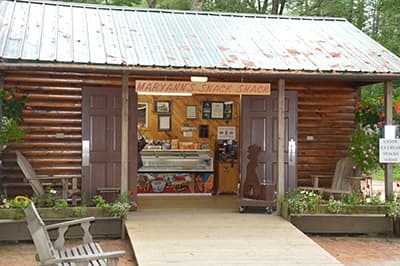 The Snack Shack is run by the Friends of the Maine Wildlife Park. All proceeds are used to improve the park's wildlife exhibits and displays.